Social networks concentrate great part of the traffic generated on the Internet and, furthermore, also generate very significant contents. 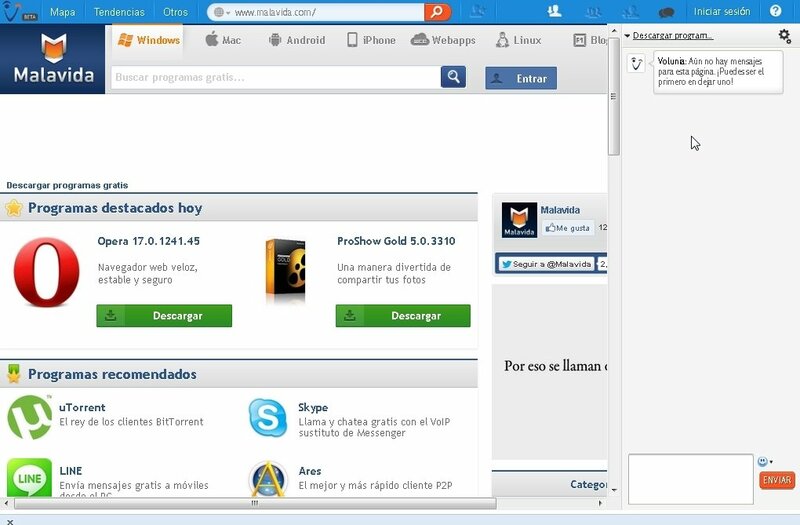 That is why it's becoming more and more important to be able to search on them and with Volunia installed on Firefox we will be able to do so without any problems at all. The best integration of the web 1.0 and 2.0 to the date. Volunia is a search engine that works as a Firefox add-on, capable of offering among its results the matches detected on social networks, improving your searches. Developed by one of the people in charge of Google's original algorithm, it makes use of integrating different web technologies, and some people have even considered Volunia as one of the most promising alternatives to Google, although it still has a long way to go. Perform searches on the Internet adding social network contents. Find out what users have visited or are visiting the site. 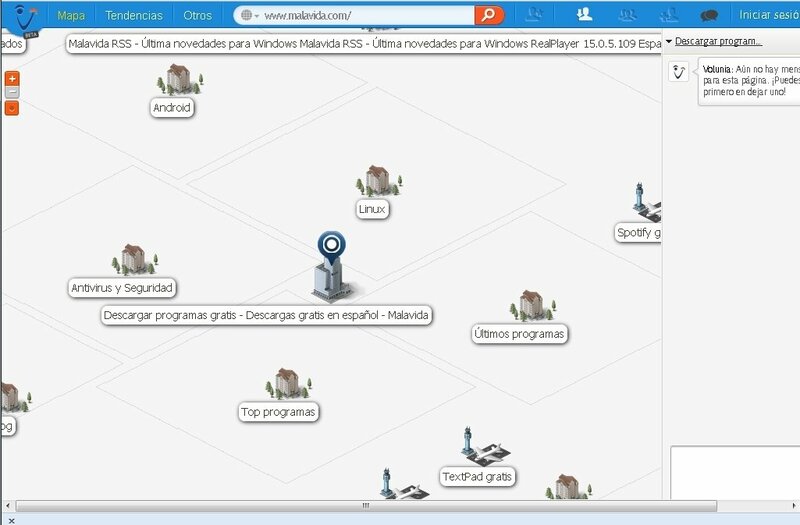 Browse within a web using support maps and viewing all its contents by folders. Preview the web's multimedia content. Discover with Volunia a new way of searching for and finding information on the Internet.